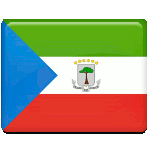 Equatorial Guinea declared its independence from Spain in 1968. Two years later, President Francisco Macías Nguema declared it a single-party state and proclaimed himself president for life two years later. In 1973, Nguema replaced the country's constitution with a new document that officially gave him absolute power. Nguema's regime was notorious for its brutality. During his rule, the country was nicknamed “the Dachau of Africa”. In 1979, Nguema was overthrown by Teodoro Obiang in a military coup. In 1982, a new constitution was adopted, and the country nominally returned to civilian rule. Although the 1982 Constitution was replaced by another constitution in 1991, the anniversary of its adoption is still celebrated as a public holiday because it is regarded as an important step toward democracy. Constitution Day in Equatorial Guinea is marked with solemn official ceremonies, special church services and other activities and events. All government institutions and private businesses are closed on the occasion.